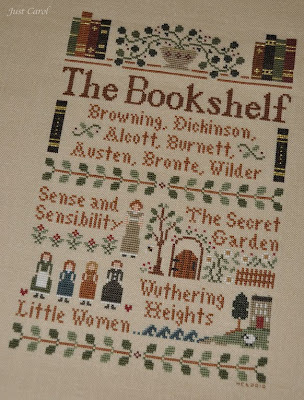 I mentioned in an earlier post that I had finished The Bookshelf by Little House Needleworks but wasn't able to take photos as the battery on my camera had just gone down. 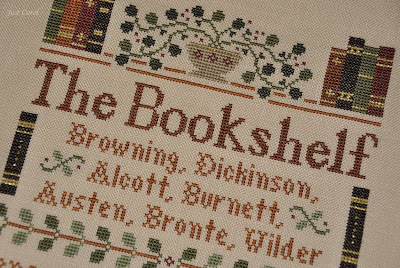 I'm so happy to have this finished at last, as I had started it way back in 2006. I was just past half way done with the stitching before we got so busy with the finish of our self build, and then having to pack for our move early 2007. I recently took it out one evening thinking I would just put a few stitches in while deciding what next to do on my long to do list, but found I was enjoying working on it so much that I couldn't bring myself to put it away again until it was finished! I've stitched it as charted on 28ct Light Mocha Cashel with DMC threads. How exciting, it's been a while since I have received an award! 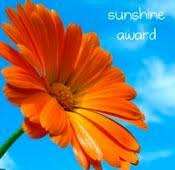 Thank you so much Su for nominating me! Now let me think, 10 things you might not know about me. 1. I was born in Malta. 2. My name is Melita Carol. The meaning of Melita is Sweet Honey which could be why I love anything stitched with bees! 3. I'm a little shorty - only 5'1". 4. I LOVE chocolate, but since the big binge last Christmas I'm just allowing myself the occasional treat - we'll see how long that lasts! 5. I have two grown up sons that no longer live at home. My eldest Jason lives in London and Matthew is living in Brighton while studying at Brighton University. 6. I don't see my Dad very often as he emigrated to South Africa 30 years ago. 7. DH Colin works overseas so I spend a lot of time at home alone. 8. I'm a real home bird. I love being at home and enjoy my own company. 9. 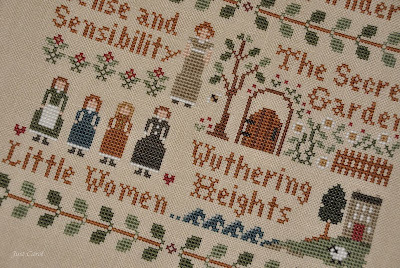 I'm very house proud and would probably get a lot more stitching done if I spent less time pottering around the house looking for jobs that could be left for another time! 10. As well as stitching I can also knit and crochet. At the age of 8 (maybe even younger) I would knit clothes for my Sindy. 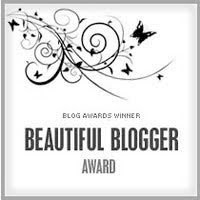 Here we go, this is the hard bit, having to pass the award on to just 10 beautiful blogs when there are so many more that I think also deserve it!